Is Velveeta cheese shortage legit or marketing scheme? 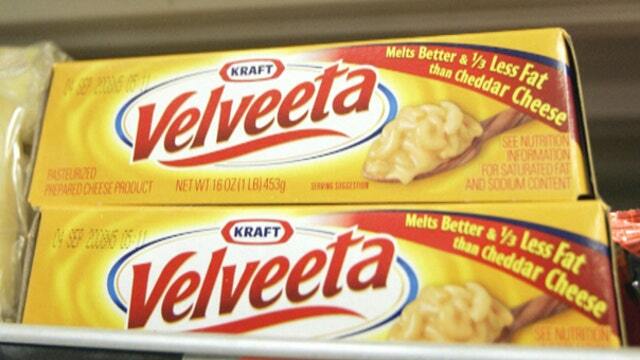 FBN’s Jeff Flock on concerns America is facing a Velveeta cheese shortage. Those bright orange slices of individually wrapped supermarket cheeses coined as “American cheese” are becoming a thing of the past in the eyes of millennials. According to a Bloomberg report, people born between the early 1980s and late 1990s are turning their backs on major processed cheese brands such as Kraft, Velveeta and Land O’Lakes and are opting for fancier options such as asiago, fontina and smoked gouda. Sales for processed cheeses are projected to slide 1.6 percent this year, marking the fourth-consecutive year of decline, according to data from Euromonitor International. What’s more, prices for processed American cheeses have been slipping as well, dropping below $4 a pound for the first time since 2011, according to Bloomberg. Matt Gould, editor at Dairy & Food Market Analyst, tells FOX Business that it’s true, at the retail level, processed cheese has been in decline for quite some time, especially with millennials, who want food products made with fewer and more natural ingredients. “Restaurants, especially fast food, had largely resisted the trend to switch from processed cheese to natural because of the melting properties of processed cheese. But this too is changing. This past month, the second-largest burger chain in Canada announced they would switch to natural cheese from processed cheese. McDonald&apos;s went halfway, and reformulated its processed cheese to have fewer ingredients,” Gould says. Wendy’s was one of the pioneers in transitioning to real cheese from artificial ones. In 2011, it announced plans to replace the Swiss cheese with Asiago cheese on its chicken club sandwiches. Even Cracker Barrel and Panera Bread made moves to ditch processed cheeses and replace them with real cheese options. Joseph Cook, senior dairy analyst at Informa Economics, adds that tariffs on processed cheese to Mexico, U.S.’ largest cheese importer have also affected export demand. “Tariffs have dropped year-to-date exports to Mexico around 10 percent from last year,” Cook says. Gould says that the number of U.S. cheese factories has increased 40 percent between 2000 and 2017, but the growth is being driven by small, specialty cheesemakers. Kraft and Schreiber Foods, two of the biggest players in the processed cheese space, did not immediately respond to FOX Business’ request for comment on the report.